Before we moved out to the country and decided to be market gardeners, we lived in small apartments where our only refuge was in the small window boxes of houseplants that made the city life a little more bearable. And before we were good at growing things we killed a lot of them. Never fear though! That's where our love of the cactus comes from! Are you a bit spikey sometimes? 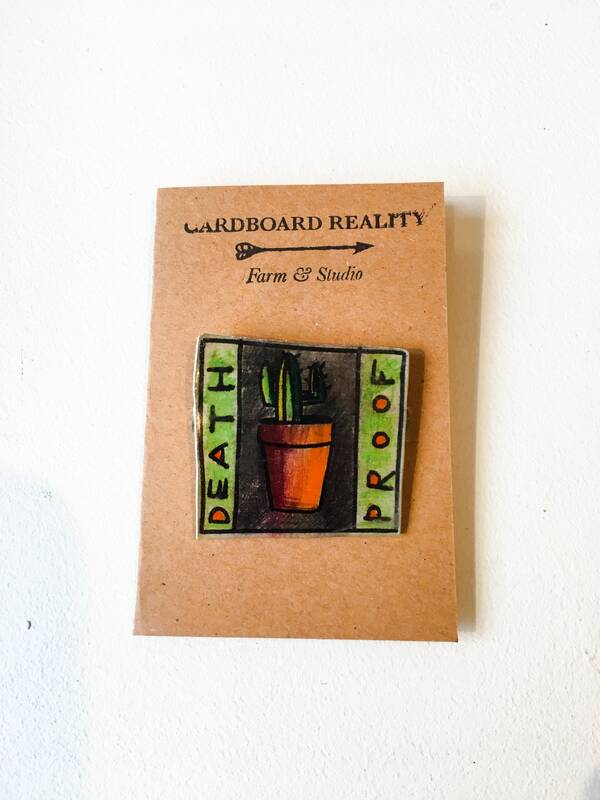 Let your resilience shine with this "Death Proof" cactus pin.